The Full Chain Extension Kit for 8 ft. High Garage Doors is required for reliable, everyday operation of Chamberlain full chain drive models in 8-ft. garage door applications. Featuring a quick-install extension rail and replacement chain, the kit includes everything needed for quick and easy installation. Includes one-year warranty, rail extension, replacement chain, all necessary hardware and an instruction manual for easy setup. The Clopay Opener Reinforcement Bracket Kit helps reinforce your garage door when attaching a garage door opener. Proper top section reinforcement is required when attaching a garage door opener to your garage door. This steel bracket provides the proper reinforcement to the top sections and are adjustable for compatibility with most garage door openers. This optional side-mount attachment enables the Synoris to properly attached to your garage door, when the DirectDrive opener is mounted on the side wall. This special side-door fitting allows you to install the Synoris Garage Door opener on the side wall, or vertically beside the garage door. The kit also comes with the extension cable to enable you to move the Powerhead and attach it up to 16" away from the rail. If you are renovating an older home and just discovered that the sill on the exterior prehung doors that you just ordered isn't long enough, then the Masonite 2" sill extension is your solution. 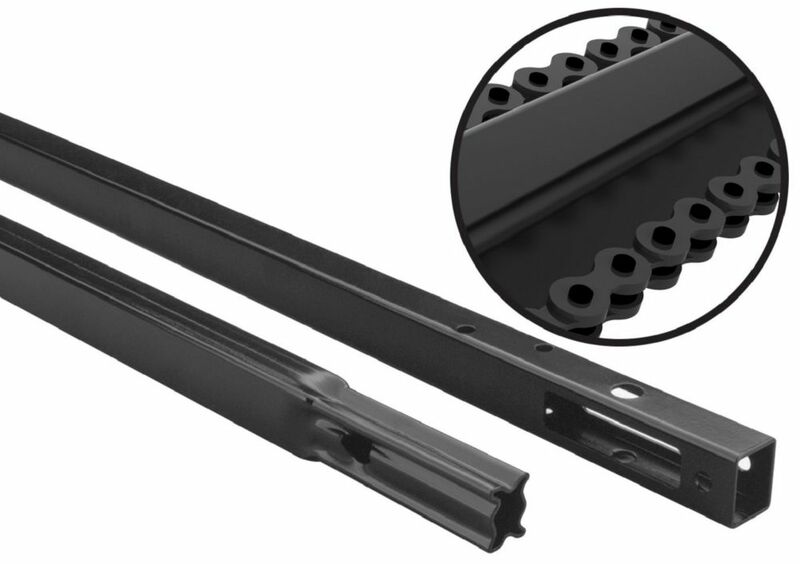 The Masonite 3" Sill Extension Kit with a Mill finish (Mill finish looks like aluminum) contains a 36" x 2" extension that can be easily snapped onto the existing door sill. Full Chain Extension Kit for 8 ft.High Garage Doors The Full Chain Extension Kit for 8 ft. High Garage Doors is required for reliable, everyday operation of Chamberlain full chain drive models in 8-ft. garage door applications. Featuring a quick-install extension rail and replacement chain, the kit includes everything needed for quick and easy installation. Includes one-year warranty, rail extension, replacement chain, all necessary hardware and an instruction manual for easy setup. Full Chain Extension Kit for 8 ft.High Garage Doors is rated 4.3 out of 5 by 19. Rated 4 out of 5 by HomeDepotCustomer from Easy to assemble and seem to work great!... Easy to assemble and seem to work great! Rated 5 out of 5 by Jerry from It was easy and quick to install. ... It was easy and quick to install. Rated 5 out of 5 by Springcoop from Works like a charm! Very much satisfied.... Works like a charm! Very much satisfied. Rated 4 out of 5 by HomeDepotCustomer from I needed it to complete the task In hand. The... I needed it to complete the task In hand. The garage door opener needed the extension so it would open the full length. They should let you know you need it for an 8 foot door.